If you’re into the booming eSports scene, you’ve heard of HyperX. Their prevalence at professional gaming tournaments as the de facto gaming headphones for pros is difficult to deny, especially if you actually watch eSports. 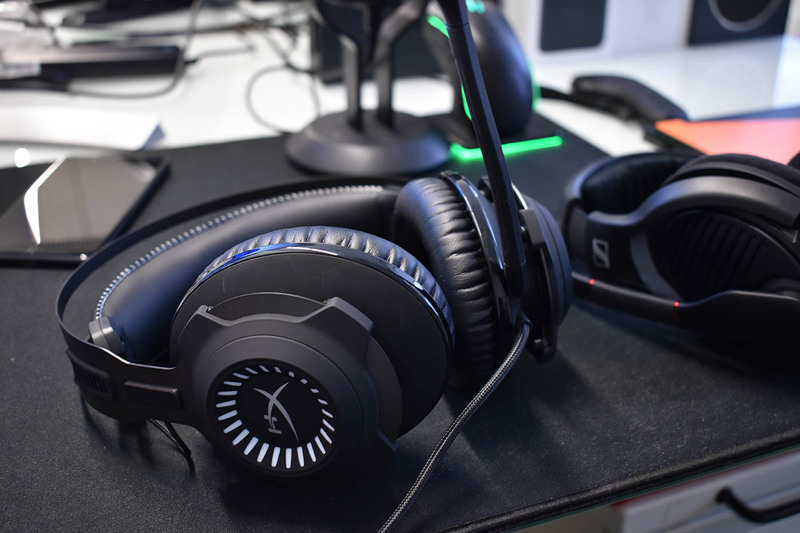 My interest grew, but I was still surprised that the Revolver S, a Dolby 7.1 surround sound gaming headset, made such a positive impression on me. As soon as I started playing online, sounds produced by sense of immersion are easy to identify, but aren’t overwhelming at higher or lower volumes. The most interesting aspect about this HyperX headset for me, is its poster child look for what a pair of gaming headphones should be. It means having an accessible price, a detailed sound profile (i.e. to hear opponent’s in-game footsteps) and using a composite of materials giving it heft and quality. I’d expect all of this from a good gaming headset, especially if the headset in question is designed by a gaming company, rather than say, an audio company with a gaming branch. Sennheiser’s PC 373D headset — which I concluded wasn’t worth your time and sounded better with its Dolby function turned off — was the exact opposite experience to what I’ve seen (and heard) with the Revolver S.
But aesthetics and great sound quality in both listening modes is dependent on the execution; how you’re able to use it. The Revolver S is truly plug-and-play via USB, doesn’t require an upgraded sound card or even software drivers to use. Once you plug it in, you have direct volume, Dolby mode and muting controls built in-line with the cable. This is the pair of PC gaming headphones that I’d recommend. It works well in both stereo and Dolby sound modes, offers the user tons of control, sports solid build quality and costs less than other Dolby gaming headphones it competes with. In fact, if you’re not a gamer and simply want Dolby headphones, there’s nothing stopping you here. The design isn’t overtly edgy (as most gaming accessories tend to be) and has a microphone that can be removed from the rest of the unit, making it somewhat modular. The Revolver S makes me happy to use it, from a session of Battlefield 1 to the weekly Beats 1 list. That’s something I can’t say for most of the gear I test and write about on a daily basis.